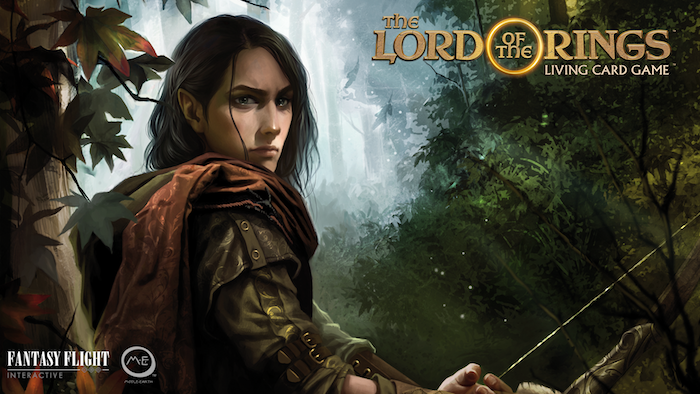 Welcome back to our series of previews on The Lord of the Rings: Living Card Game, a brand-new digital game from Fantasy Flight Interactive, now in early access on Steam! In our first article, we looked at Leadership and Lore, two flexible but less-focused spheres. Today, we’ll look over the two remaining spheres, Spirit and Tactics—each narrowly focused but powerful spheres that can attack the game from very different angles. Within the Spirit sphere, you’ll find the emphasis placed on the strength of a hero’s will. A Spirit hero rises to the challenge, even when the odds are stacked against them; they embody resilience, courage, and heart. Mechanically, Spirit heroes tend to have high willpower, as they’re most focused on the task at hand. Their courage, meanwhile, helps them to reduce threat and take resources from Sauron, disrupting the Dark Lord’s plans. With a lower threat, Spirit decks can take their time completing their objectives and evading enemies, though their high willpower means that they can often rush the objective and largely ignore Sauron’s forces, too. Overall, Spirit engages Sauron’s forces on different metrics than any of the other spheres—it focuses on fate, threat, and willpower, rather than concerning itself with combat. As a result, you may see many Spirit characters with stealth or other ways of evading the enemy. You might also notice that many Spirit characters have low attack or health. Spirit decks often feel unique and combo-oriented. Many Spirit builds will emphasize a hero’s special ability and attempt to maximize it. 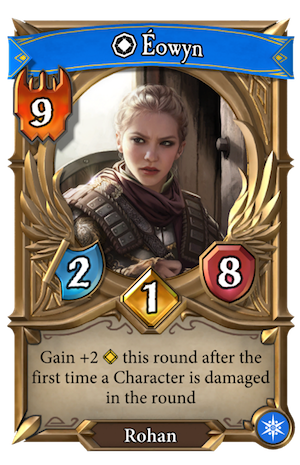 Éowyn, for example, has below-average stats by default, but gains a major boost to willpower when a character is damaged for the first time. 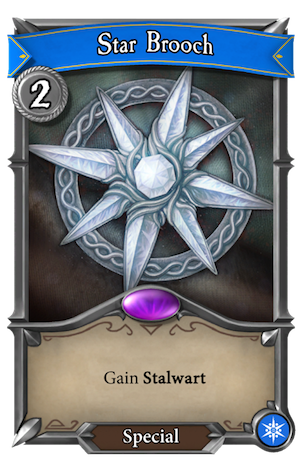 Cards like Star Brooch let Éowyn take extra actions with boosted willpower, and allies with high health can take the hit that you need to trigger it. Building a Spirit deck requires a true mastery over the game’s various mechanics and keywords and an eye for powerful combos. Through sheer power of will, Spirit heroes can also avoid the gaze of Sauron, reducing their threat and buying the party more time to complete the quest. A lower threat also means that threat events won’t trigger as quickly, cutting off one of Sauron’s most powerful advantages! Threat reduction is an important asset to any team, but some parties will especially appreciate its benefits. If you’re focusing on a Lore-centric control strategy, you might choose to bring a Spirit hero along to keep your threat low as the game goes on, shoring up one of the Lore sphere’s greatest weaknesses. Reducing threat also buys you more time to complete objectives—which is ultimately the heart of The Lord of the Rings: Living Card Game. While any Hero can progress through quests and locations, Spirit heroes do it best. Though Spirit doesn’t excel at combat, it has other ways to deal with danger. Cards like the Wandering Took can steal Sauron’s resources, while other cards destroy the Dark Lord's most powerful attachments. Knowing when to deploy this sort of disruption, however, is a challenge in and of itself. Spirit is the most battle-adverse of all spheres, so it can initially be challenging for new players. However, Spirit decks are often lightning-fast and can complete a quest before a dark army can assemble in opposition, using efficient disruption to attack Sauron’s resources along the way. 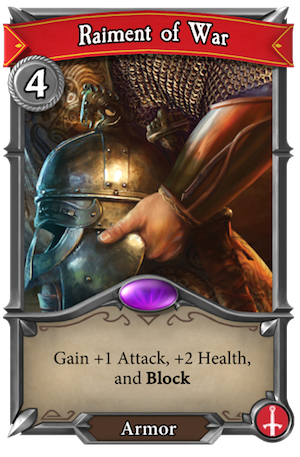 Though Spirit has a hard time dealing with Sauron’s board, it provides some of the only tools for maximizing fate and reducing threat. Its unique positioning makes it a great support sphere, as it can focus on the parts of the game that other spheres frequently ignore. Deckbuilding with Spirit cards can be exciting if you want to show off your mastery of a quest and your clever solutions to difficult puzzles. If you like to find clever combos in your deckbuilding, Spirit may be the sphere for you! Like Spirit, Tactics is a focused sphere—it wants to win in combat through superior martial prowess. Though its goal is simple, achieving it is no small task. Tactics players may play aggressively, loading up a hero with an armory of powerful attachments, or they can play conservatively and use powerful attachments and allies to increase damage. Either way, Tactics attempts to control the board in combat, ignoring willpower, fate, and threat and powering through quests with sheer force. Aggressive players and controlling players alike will find something to like under Tactics. After all, Tactics hits hard. What’s more, this sphere can deal damage outside of just combat. Many Tactics allies deal damage when they enter play, and many Tactics attachments increase a character’s attack or even deal damage while defending. 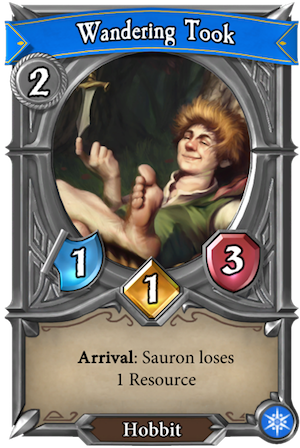 Tactics is also home to some of the most powerful attachments in The Lord of the Rings: Living Card Game. Raiment of War is a costly investment at four resources, but its merits are more than worth the price. Tactics is perfectly set to arm its already-impressive heroes, protecting them and making them formidable solo fighting forces. But Tactics isn’t only interested in increasing attack. Armor attachments like Round Shield help Tactics to mitigate incoming damage, shoring up this sphere’s lack of healing effects. Though every sphere has its own powerful attachments, these are notable for their raw power, low cost, and ability to dramatically increase attack and health. None are as deft in battle as Tactics heroes. 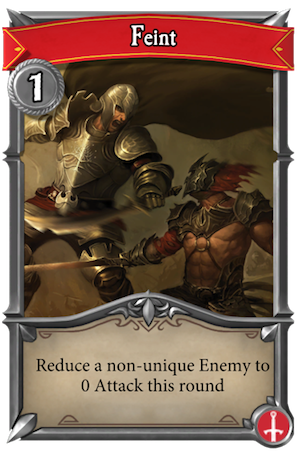 Cards like Feint represent their martial talents and allow the player to manipulate the board before or after combat, halting enemy assaults and clearing the way for their heroes to deal damage and complete objectives. 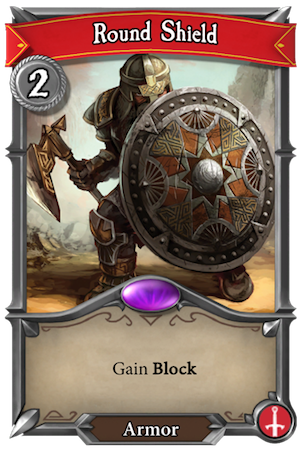 By interacting with enemies and blocking their damage, players can turn the tide of battle before they even attack. Tactics is fully focused on combat, so this sphere can falters when a quest calls for high willpower, especially since many of the most powerful Tactics allies have zero willpower, meaning they can’t help to progress an objective at all. To stem this weakness, a party focused on Tactics can take along a high willpower hero to clean up objectives. While all other spheres are a slight improvement on Tactics’ ability to quest, Spirit does it best, and Tactics can easily protect a low-health, high-willpower hero. If you want to master the Tactics sphere, you’ll have to learn how to move deftly from a controlling position to an aggressive one. Though Tactics is focused in its goals, it is surprisingly flexible in its playstyle. If you enjoy facing your foes head-on, Tactics is the sphere for you. Thanks for joining us through our look at the various spheres of the game! Though each one brings its own strengths to the table, a truly great player must learn to master every sphere and adapt to its strategy depending on the quest at hand. 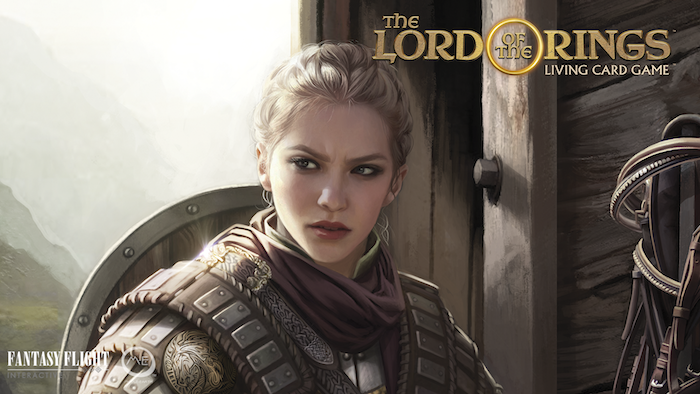 The Lord of the Rings: Living Card Game presents a series of unique, demanding challenges. Certain spheres will thrive where others fail and adapting to those conditions will call for skillful deckbuilding. Will you be up to the challenge? Gain early access to The Lord of the Rings: Living Card Game on Steam today, and order The Lord of the Rings: Living Card Game Limited Collector’s Edition (MEC73), available through our website while supplies last!